The FCC voted Monday to create a Fraud Division within its Enforcement Bureau. The point is to combat waste, fraud and abuse in its Universal Service Fund programs. 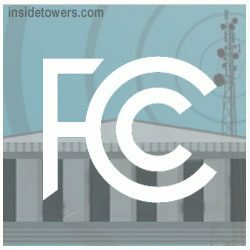 Inside Towers recently reported the Commission proposed a $63 million fine against American Broadband for apparent large-scale violations in the Lifeline program, including apparently creating fake accounts by enrolling deceased individuals and manipulating the personal information of existing Lifeline subscribers. “To ensure we are effective in that work, it is vital that we maintain a steady eye on these programs to address the unfortunate reality that, over the years, too much money that should have gone to connect American consumers and businesses has been lost, stolen, or misused,” said Enforcement Bureau Chief Rosemary Harold. The new Fraud Division will investigate and prosecute fraud in the USF. This team will work closely with the FCC’s Office of Inspector General, the U.S. Department of Justice, and other law enforcement agencies to prosecute unlawful conduct. The Fraud Division will be established following review and approval by the Office of Management and Budget and the House and Senate Appropriations Committees, as well as publication of the Order in the Federal Register.